Written and illustrated by AHSA member Brian George. 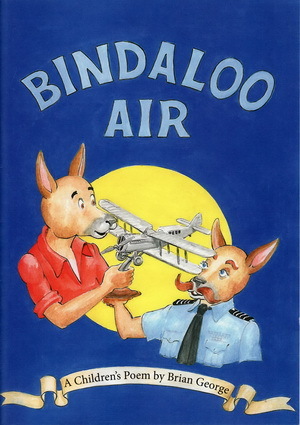 One of a series about the small country town of Bindaloo, it describes aircraft construction and conversion from military to a commercial airliner. Details of airline services and maintenance are outlined as are the shortcomings of hiring a barnstormer as chief pilot. The books are designed for children aged 8 to 11 or any adult keen to encourage reading. They also include a quiz at the end to test the reader’s attentiveness.